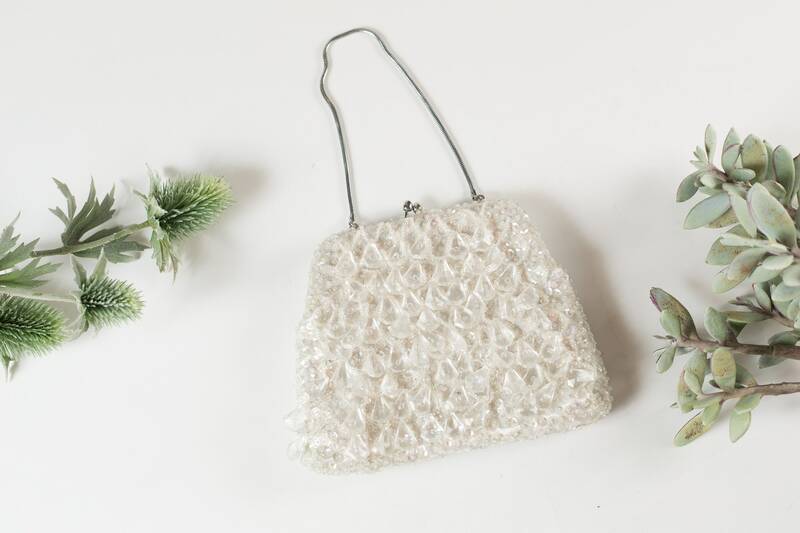 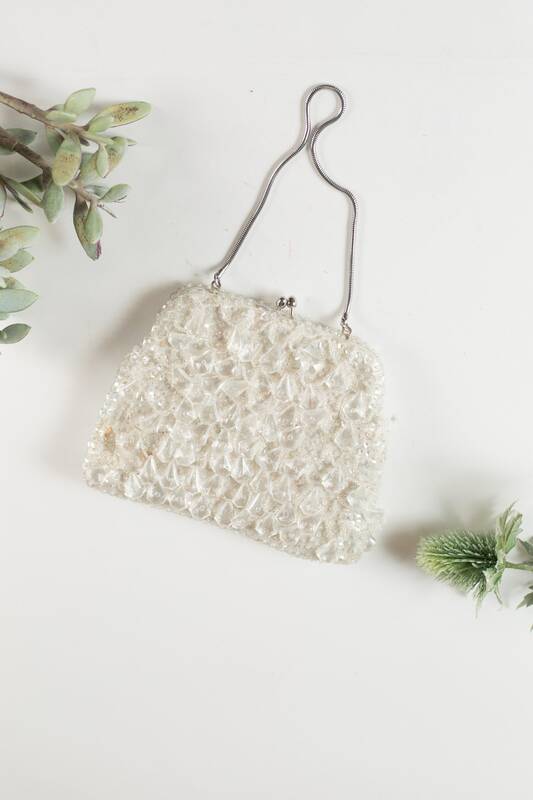 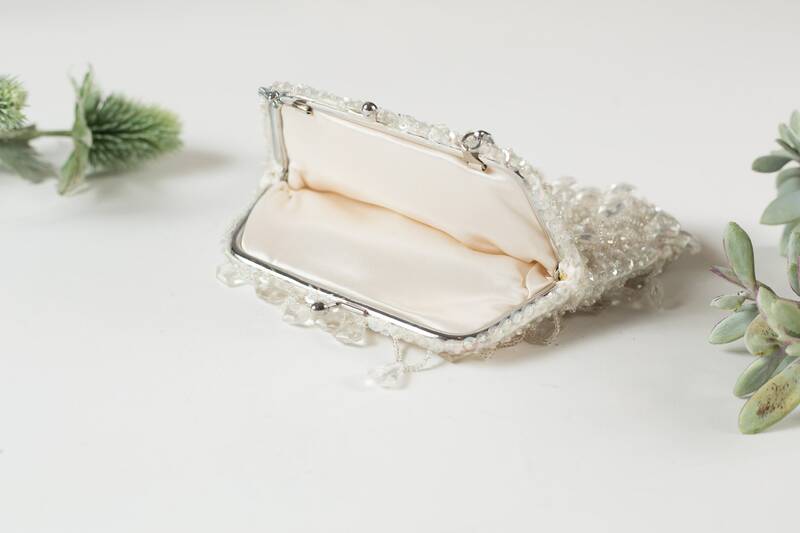 This is a beautiful white coloured sequin and beaded tassel style floral purse with a silver coloured metal frame and chain. 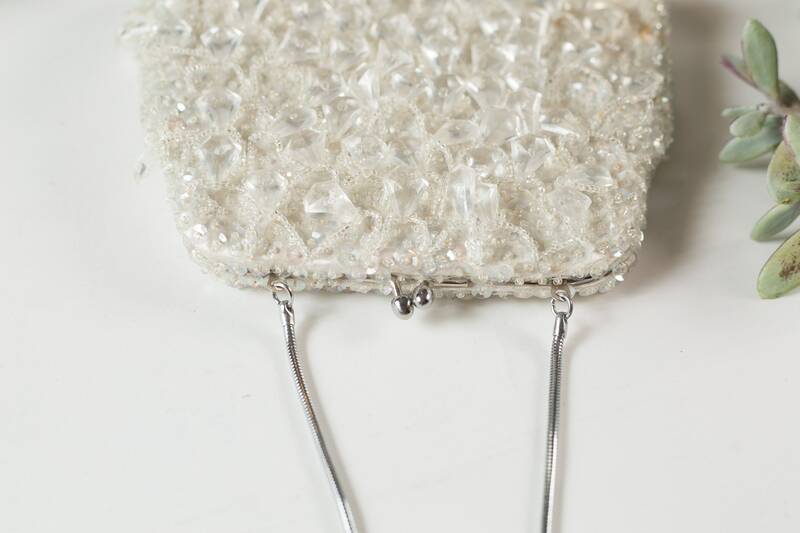 Beads dangle when the purse moves. 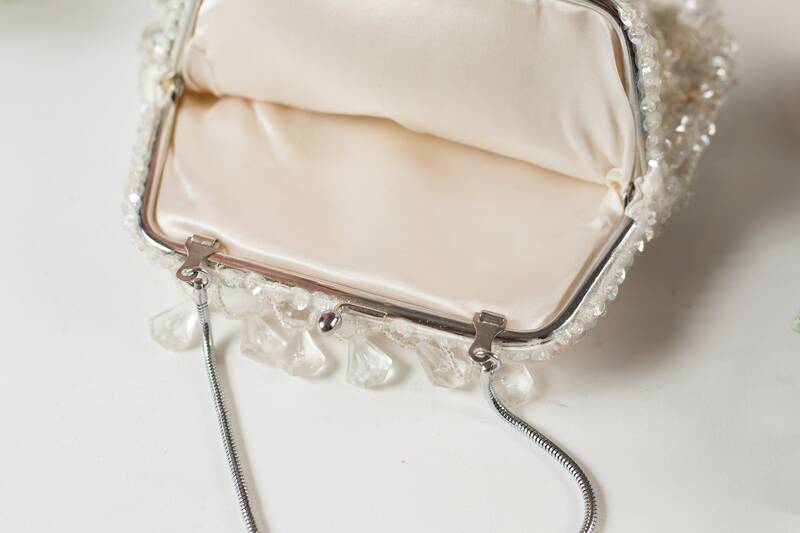 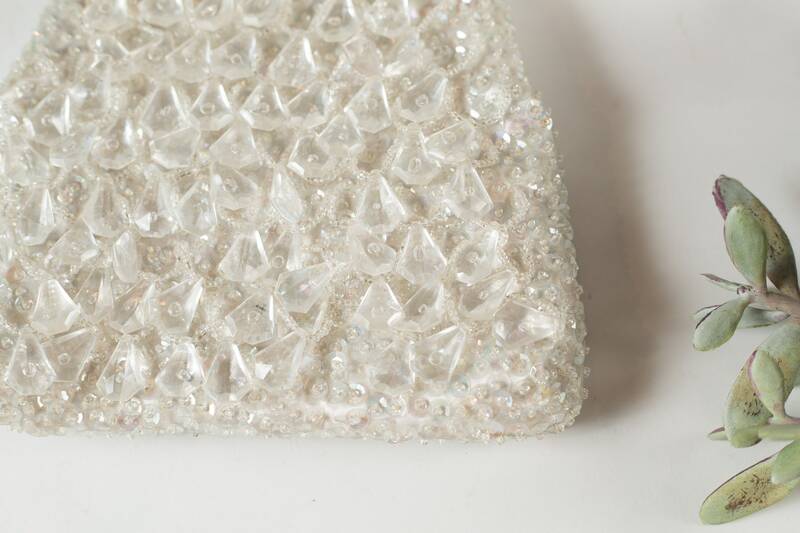 The interior is lined with a cream coloured fabric.